Responsible for driving for growing agent’s base, transacting customers and revenue by providing leadership on agent recruitment, acquiring business and management of agency business operations in the zone. Ensure smooth planning, executing and monitoring sales strategy; distribution and expansion; marketing initiatives and budgets of NMB’s entire agent network at the zone. Liaising with branch managers on identification of the new prospective agents in the zone while ensure compliance of KYC as per regulation and business requirements. Acquire new business opportunities, initiate business cases and product concepts for value added services on agency banking, and seek necessary approvals from within the bank. Agent relationship management & business development of direct and indirect channel model of NMB wakala in the zone. Managing training of agents, staff and field team on products and troubleshooting of agency banking tools as well as agents disputes. 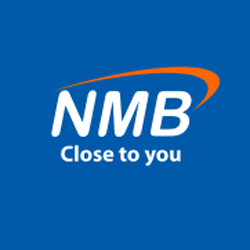 Management of agency banking representatives and assign goals to branches and field team by product, and generate necessary reports for performance reviews to ensure quality support services to NMB wakalas. Monitoring the market very closely for dynamics on customer behaviour, competition, policies, compliance and regulations. Supporting other business units for cash transaction solutions using customized agency banking models. Coordinate branding activities between Head office, marketing and zone related to NMB wakala branding, marketing and market intelligence as part of business development. Periodic visit the regions in the zones ensure correct implementations of agency banking strategies, policies and compliance also to monitor performance and evaluation of branches and field team KPIs. Supervising zone’s agency banking representatives on their day to day activities and targets. Agency network growth and support. Reporting skills and data presentations. University Degree/ Advanced Diploma in field of banking, finance or business related field. Minimum of 3 years’ experience in the banking industry, Mobile Network Operator (MNO), or agency network operations. Prior exposure to field operations on agent network institutions/ FMCG sales/ direct sales operations will be an added advantage.